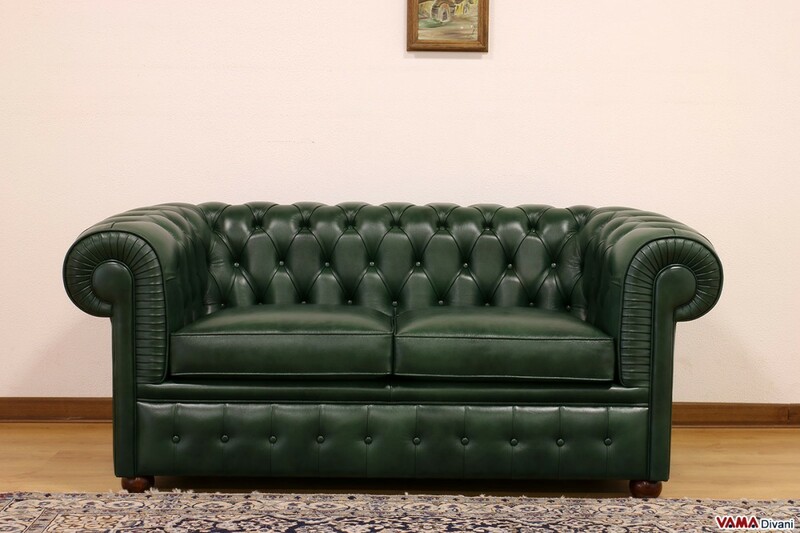 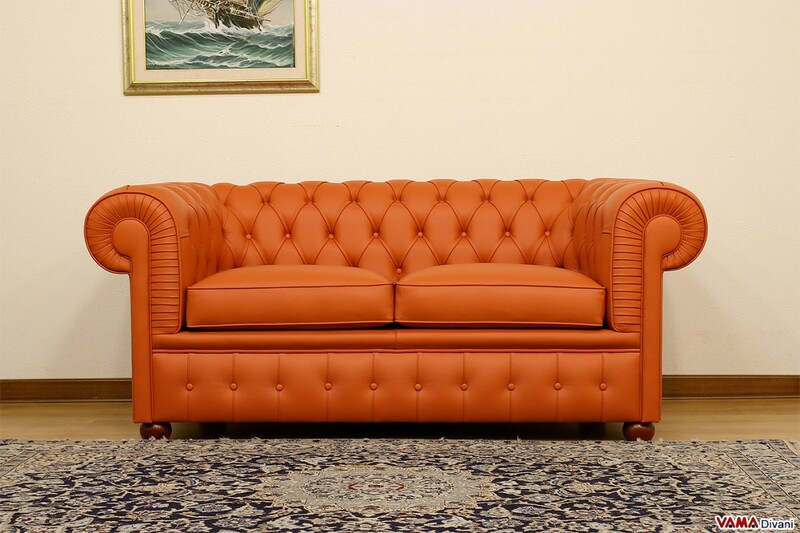 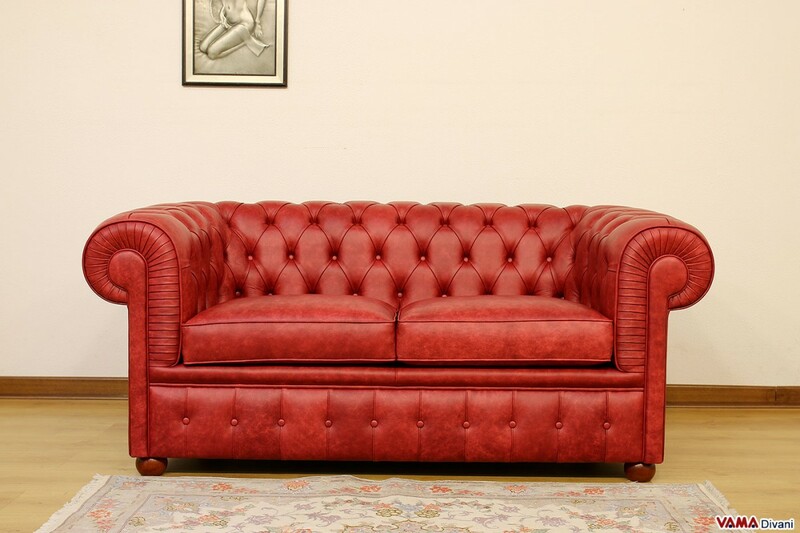 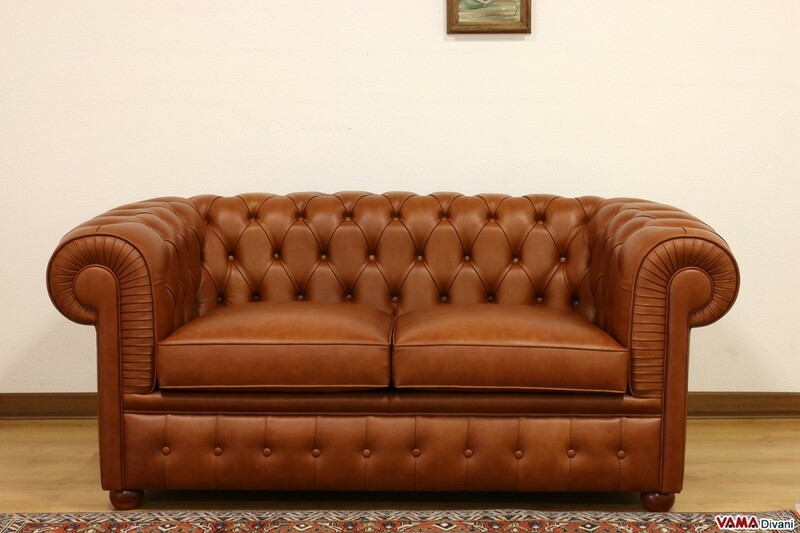 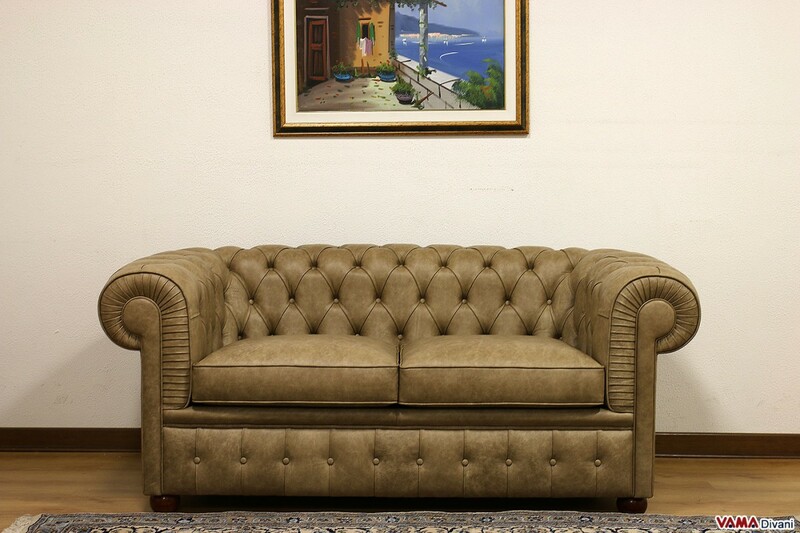 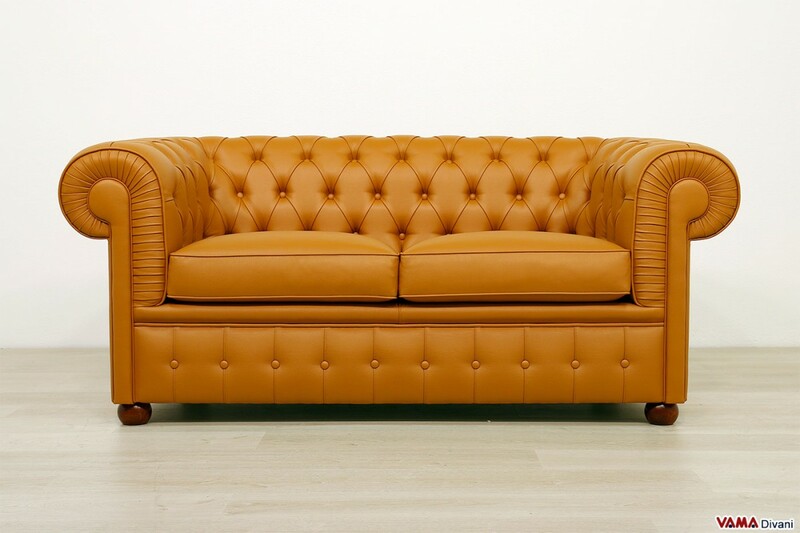 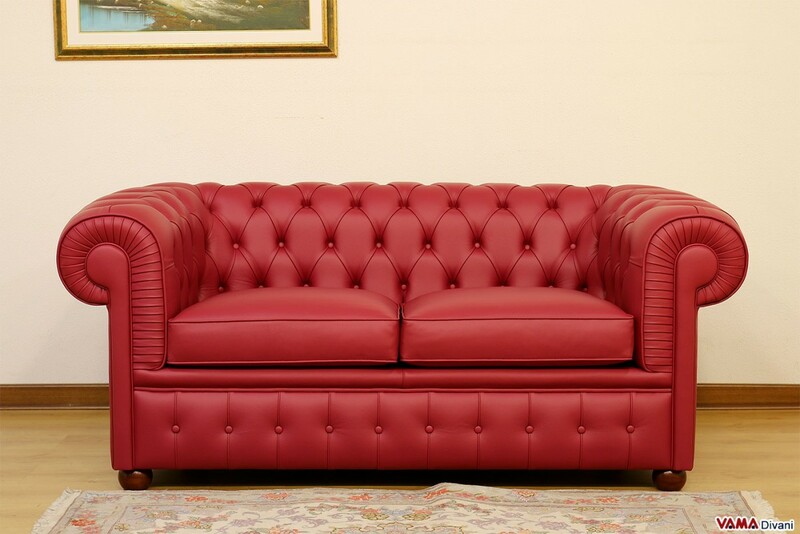 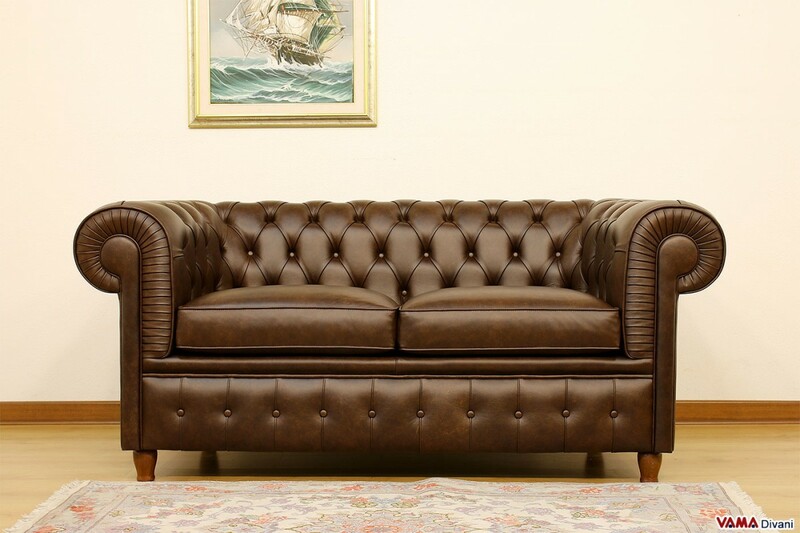 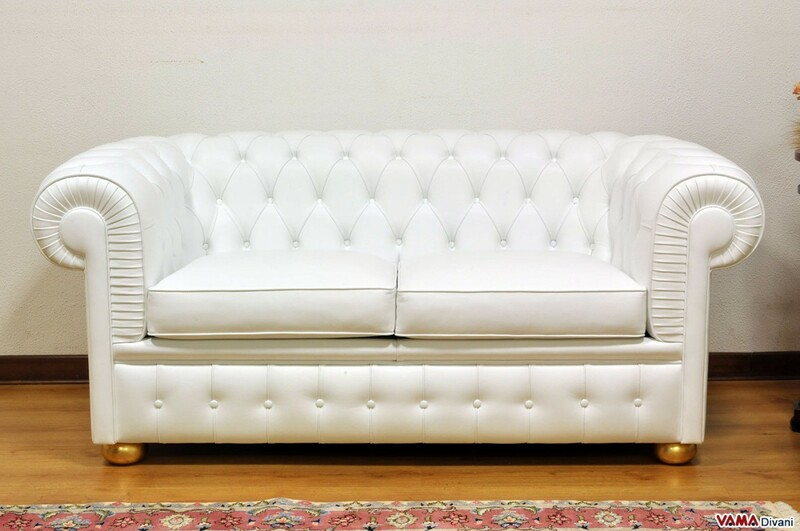 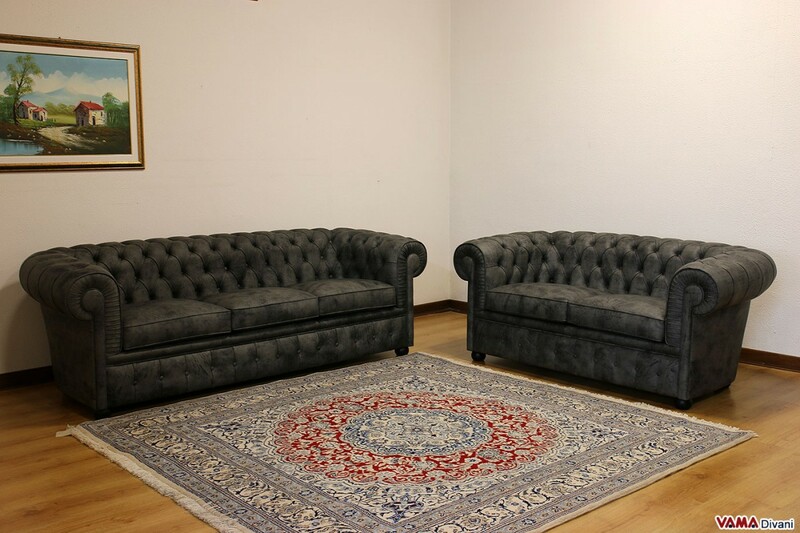 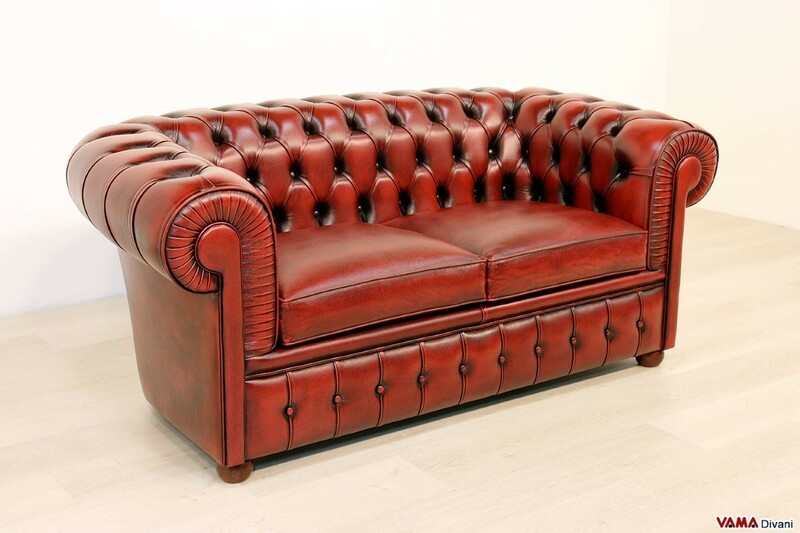 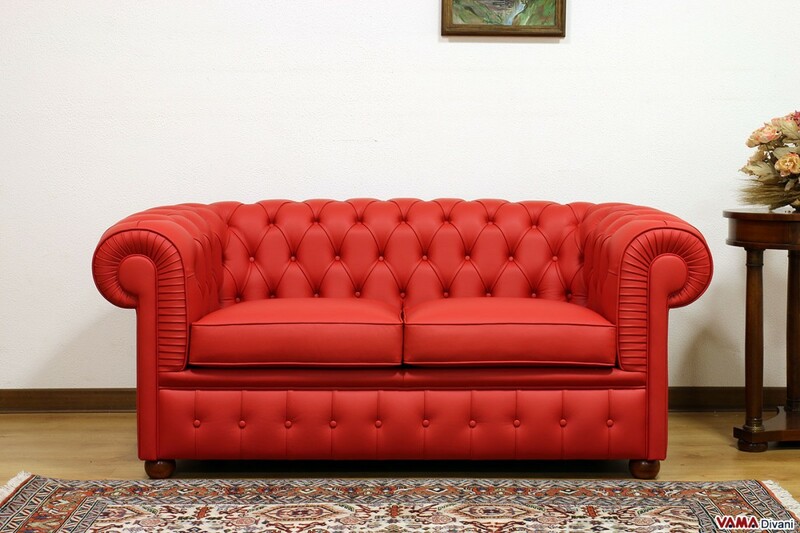 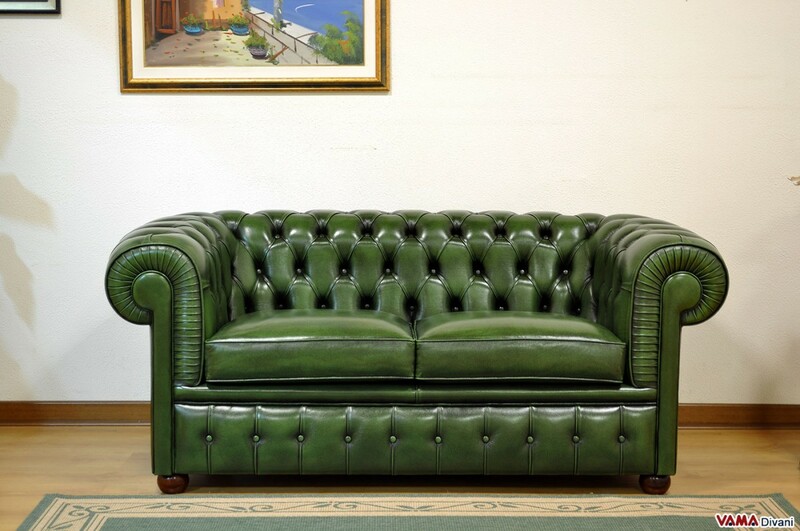 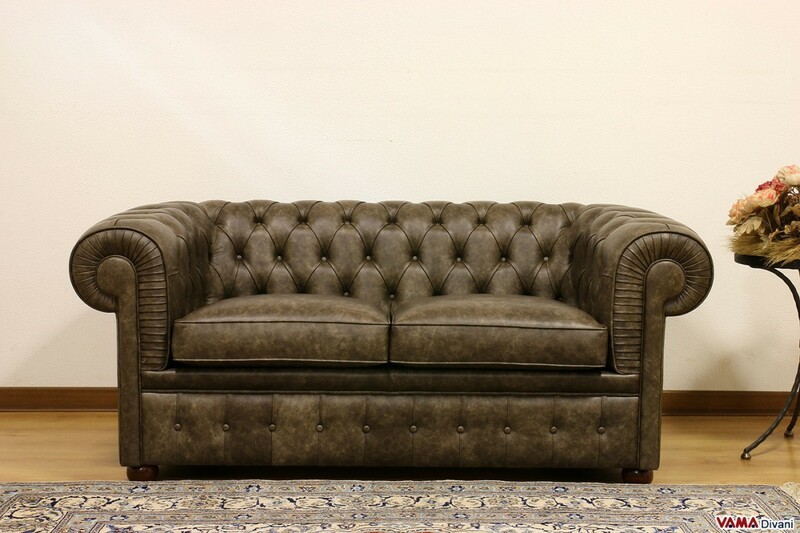 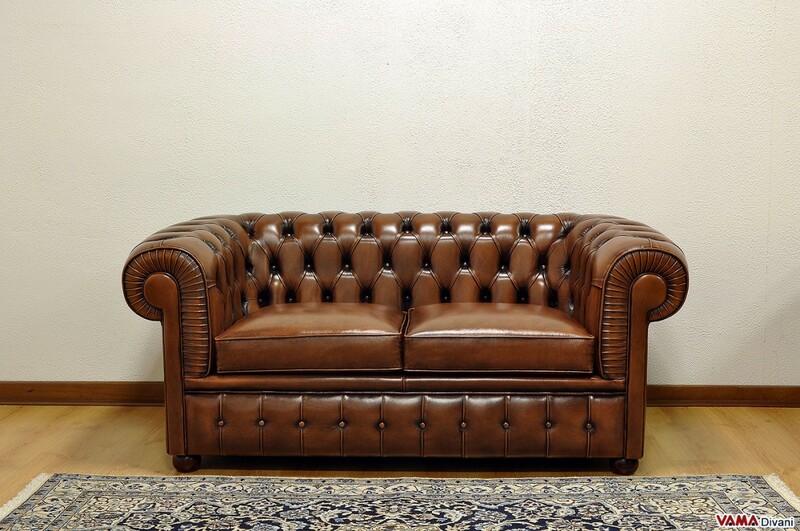 Chesterfield 2 seater sofa, 165 cm long, a well-finished classic sofa characterised by a very stylish look, just as the oldest English Chesterfield sofas. 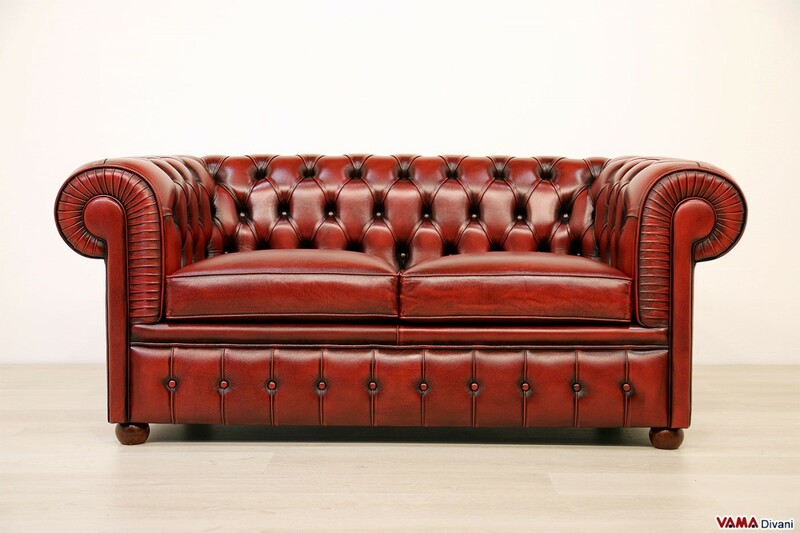 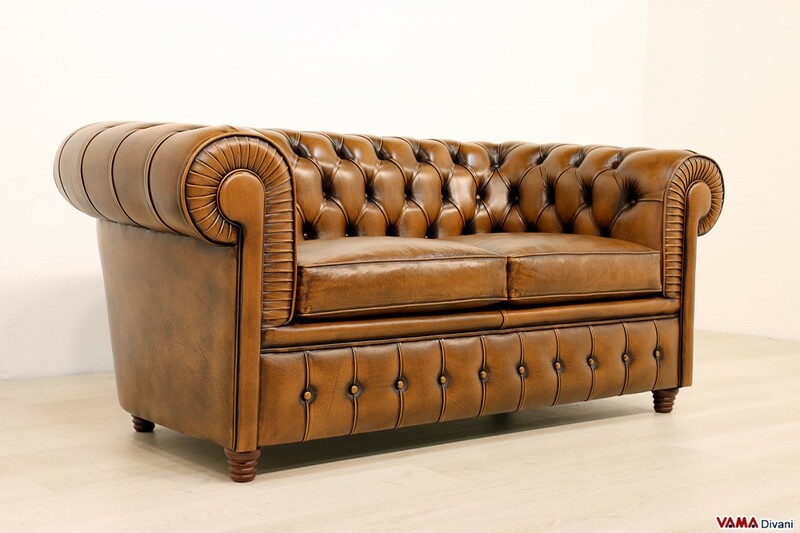 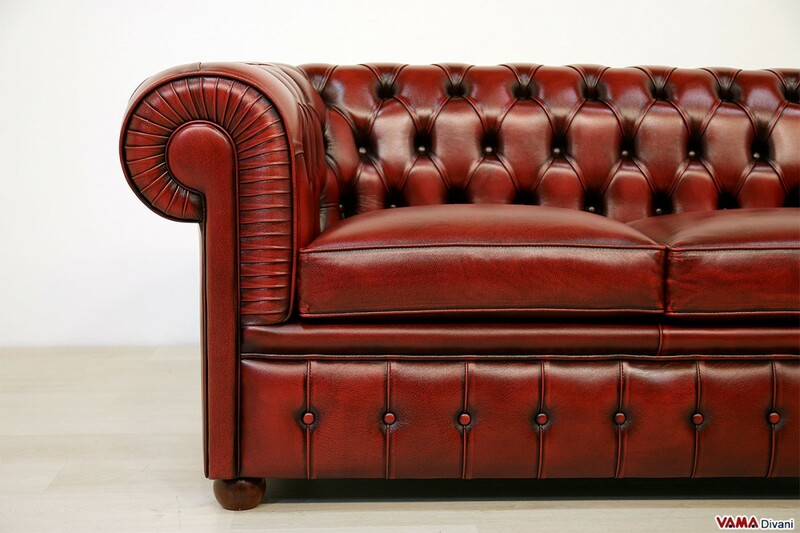 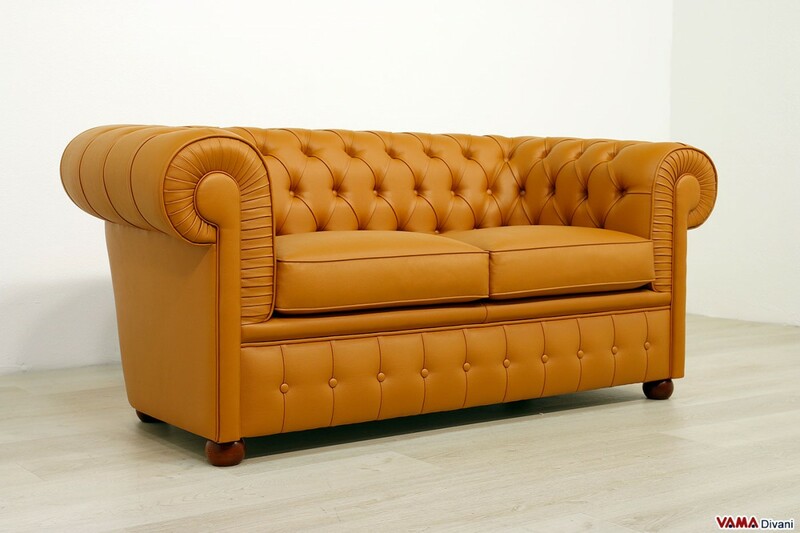 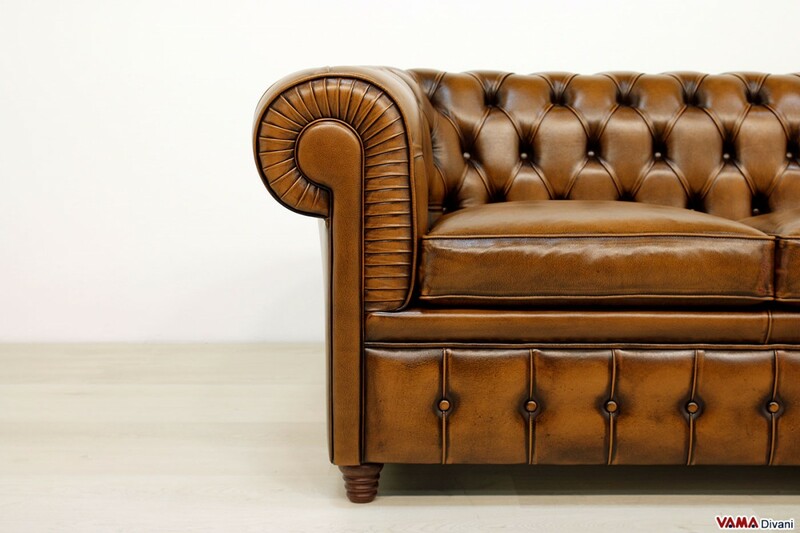 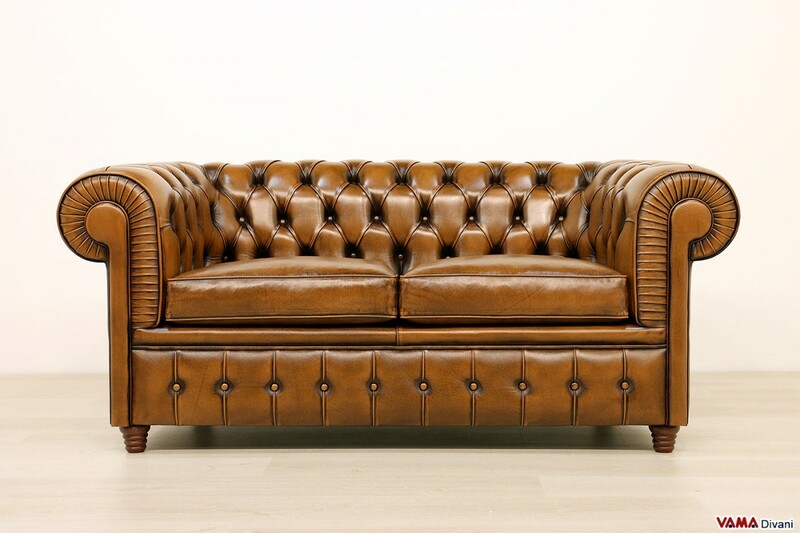 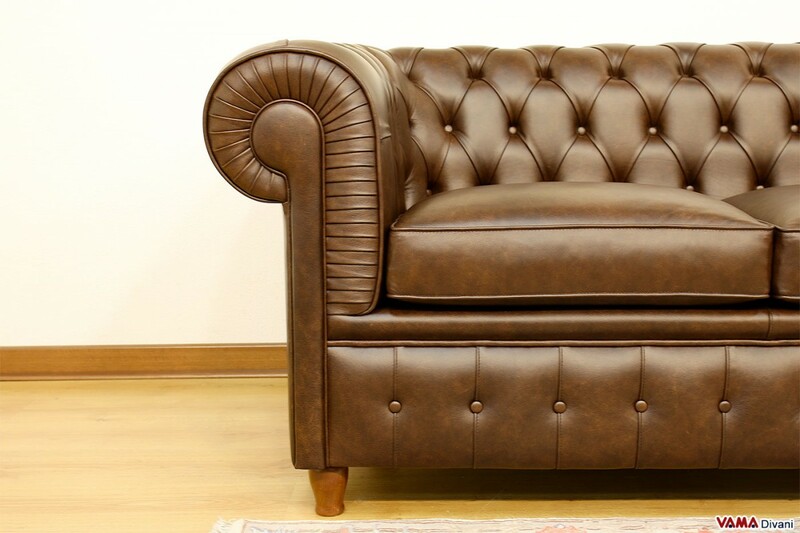 The Chesterfield sofa is the world's oldest sofa, having been designed and realised for the first time in the UK between the seventeenth and eighteenth centuries, and this beautiful 2 seater version proposes all the most ancient features in a very perfect way. 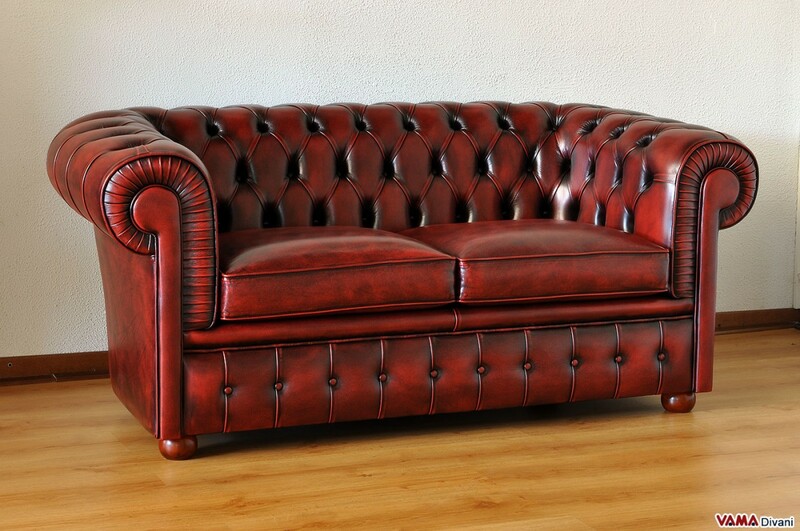 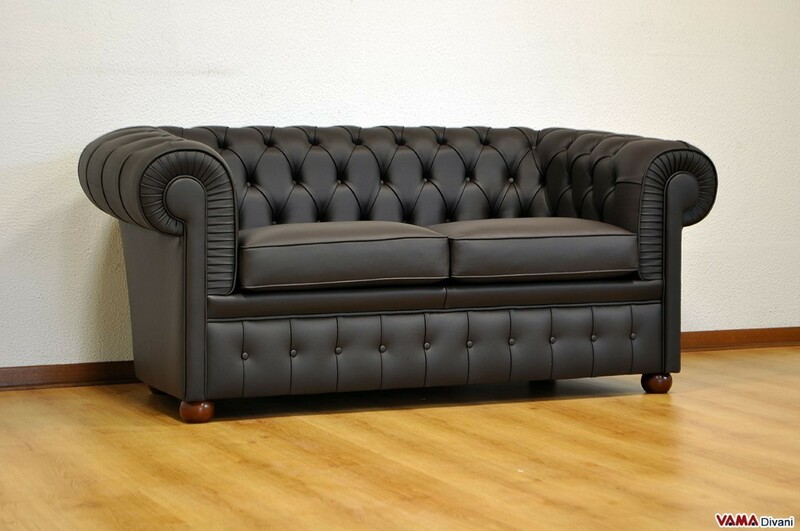 The Chesterfield 2 seater sofa is the more realised standard size as it is perfect for every type of room. 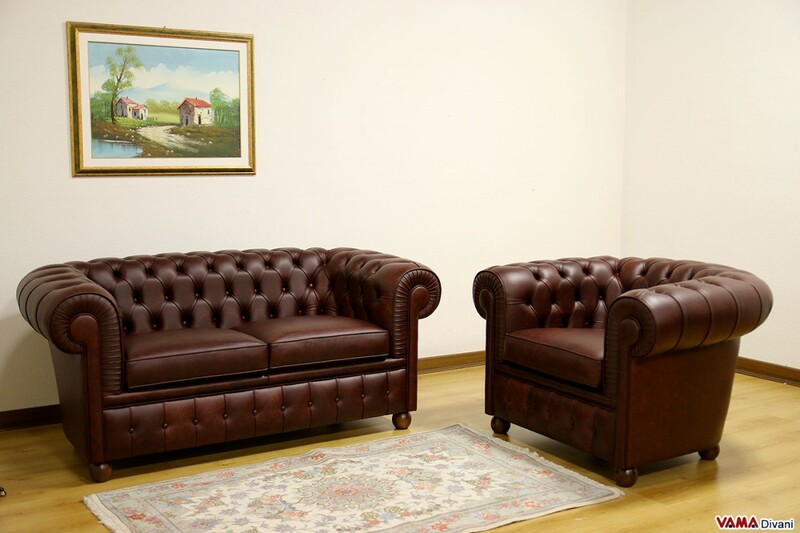 If the size of your room obliges you to respect a particular size, you can even order your Chester Custom sofa. 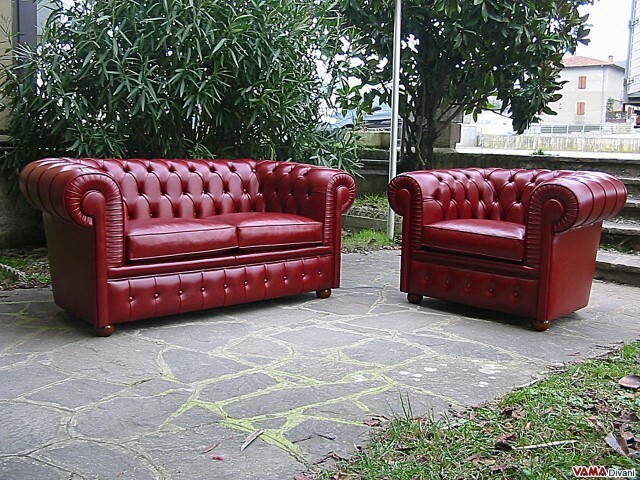 Small, sure! 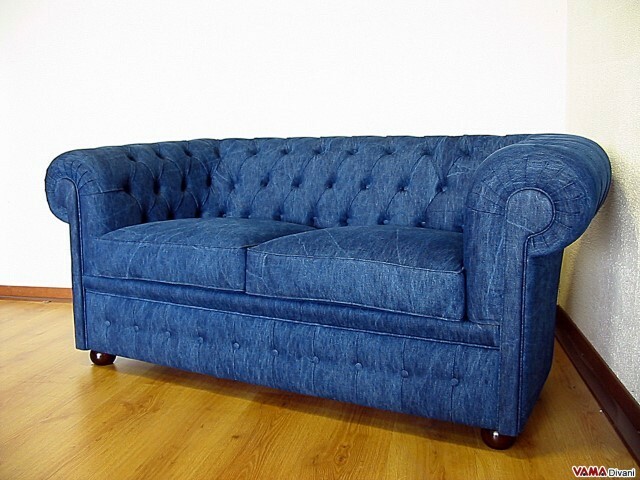 But only in its size... 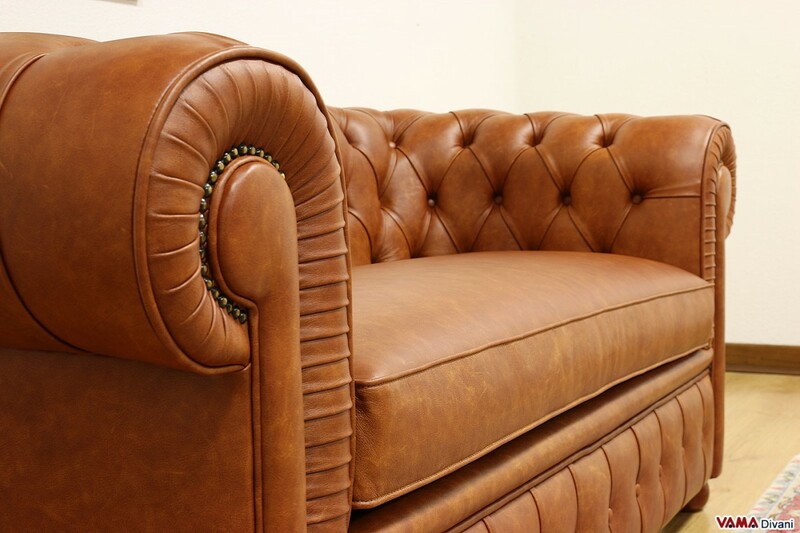 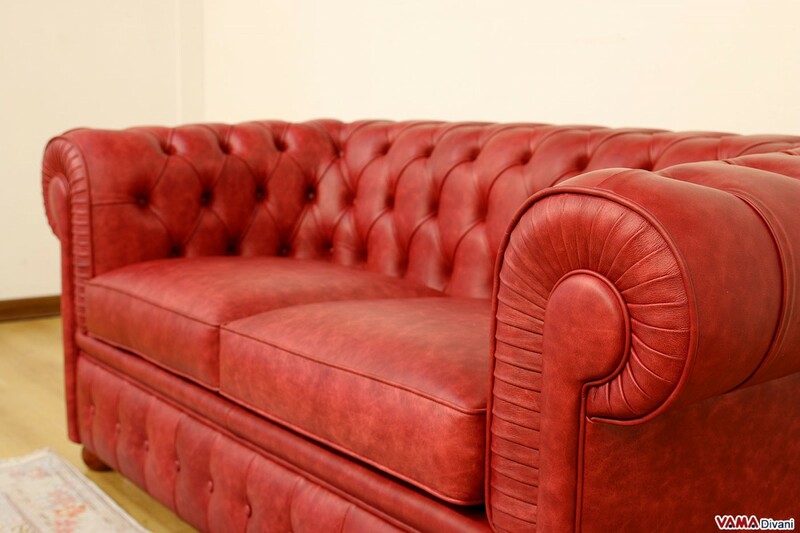 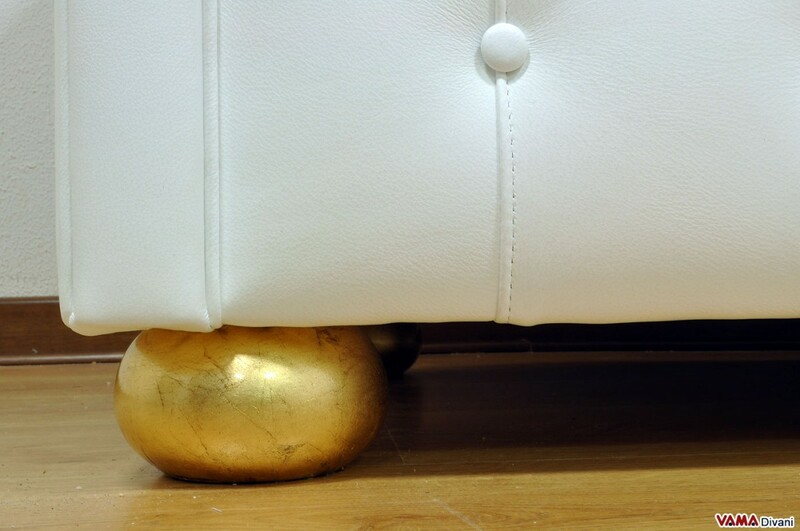 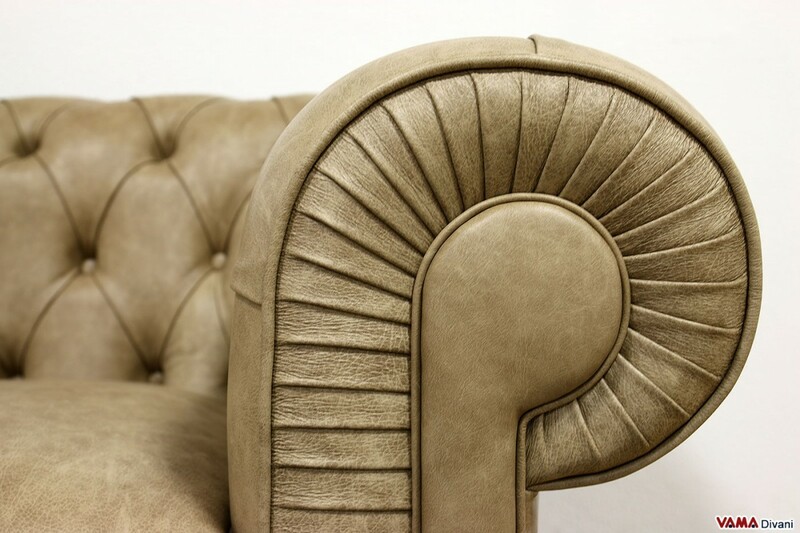 The quality and attention to detail, like in all our Chesterfield sofas, are the main features that make a sofa unique and precious. 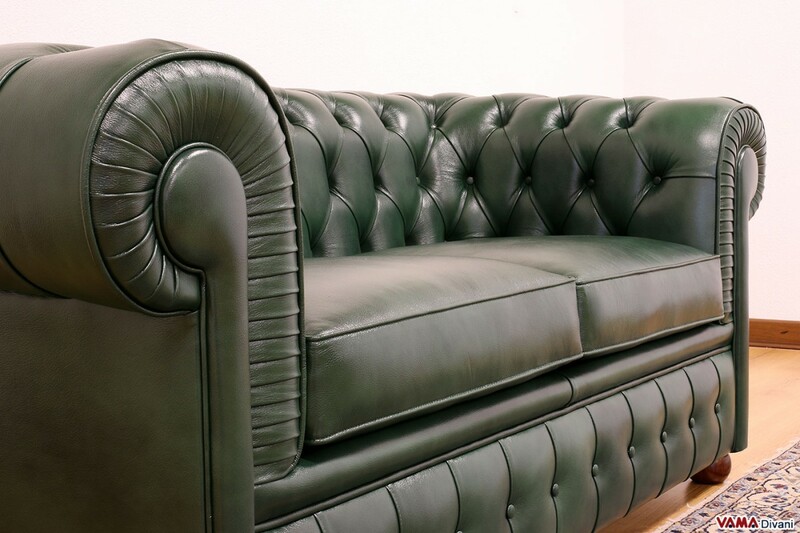 The Buttoned details, or better, the handmade surface realised thanks to the application of buttons, is performed in a very excellent way by our Italian craftsmen, and even all the other finishes are characterised by a maximum attention to every little detail. 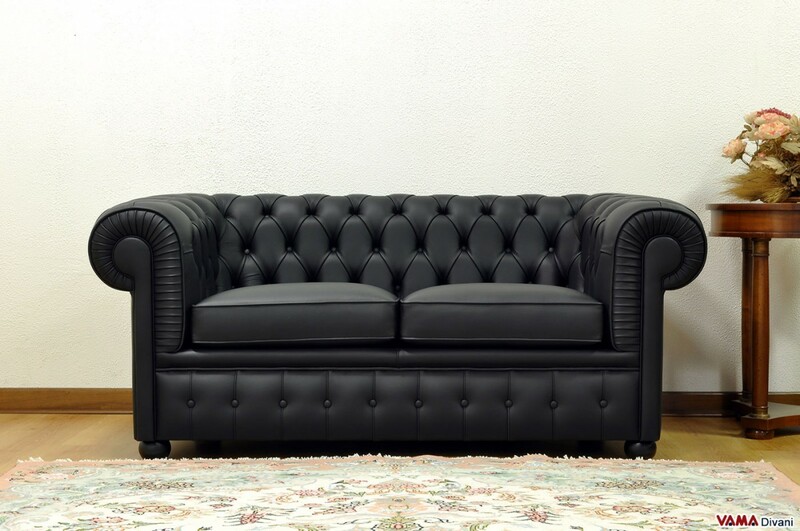 The black leather upholstery enhances its elegance, and allows it to be matched very easily in the most different spaces. 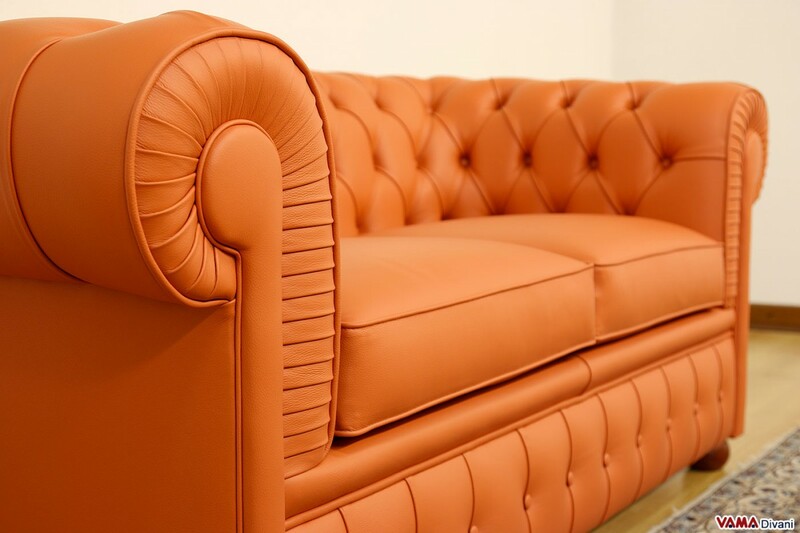 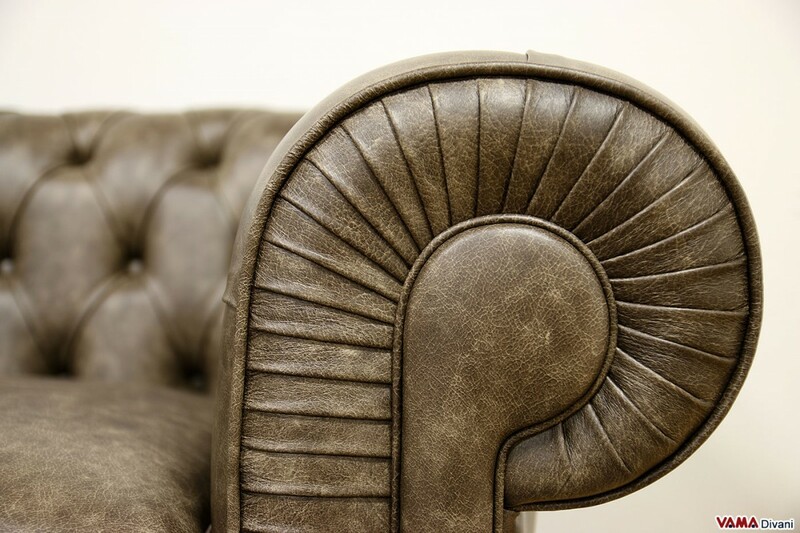 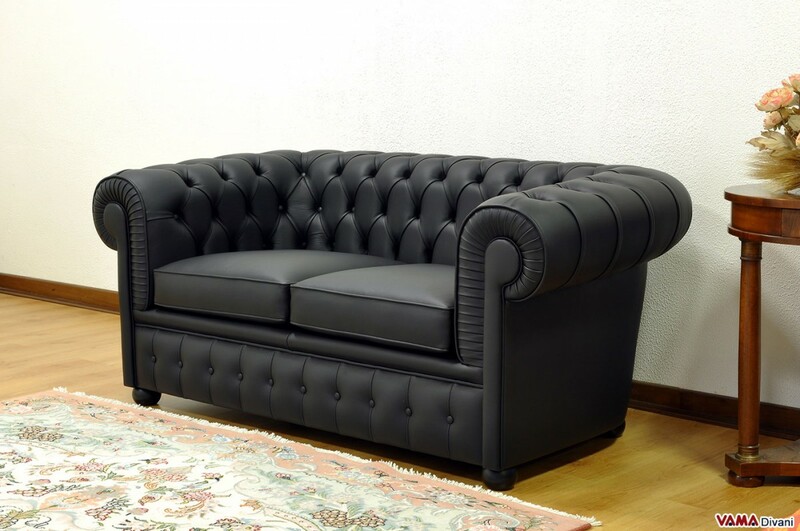 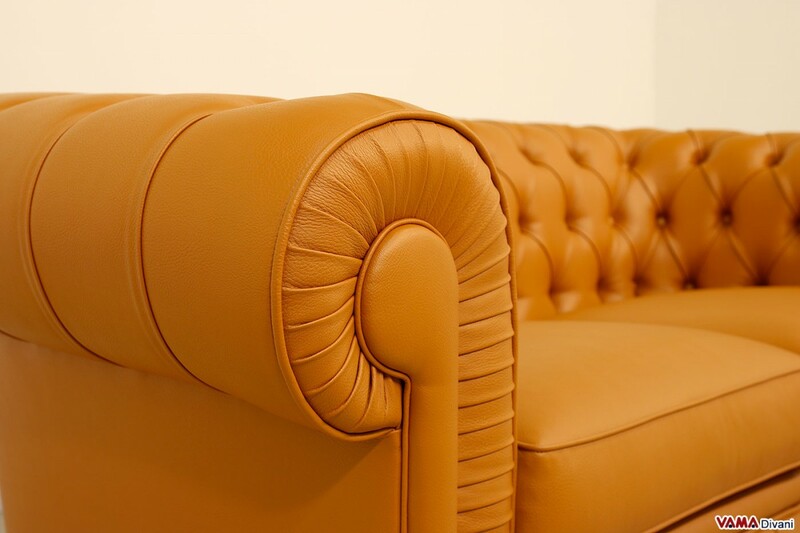 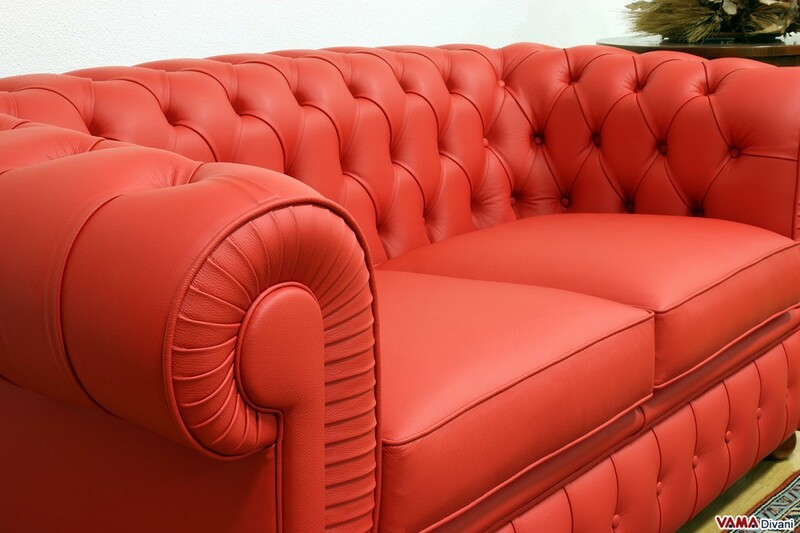 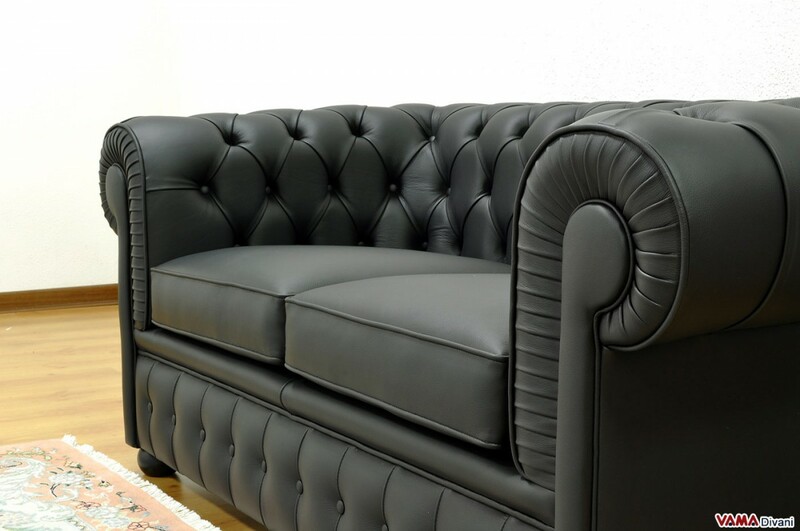 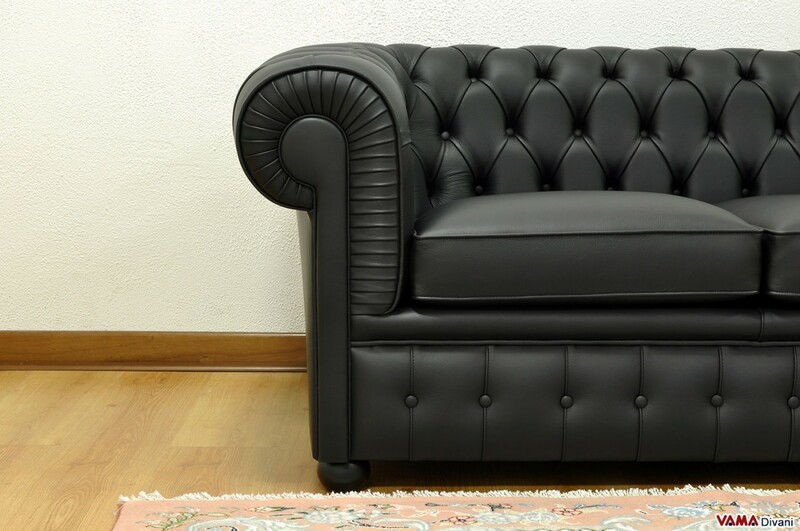 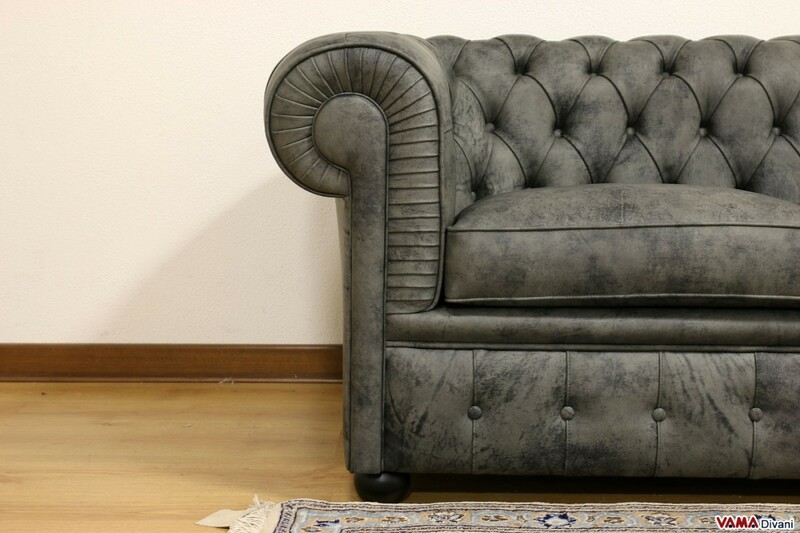 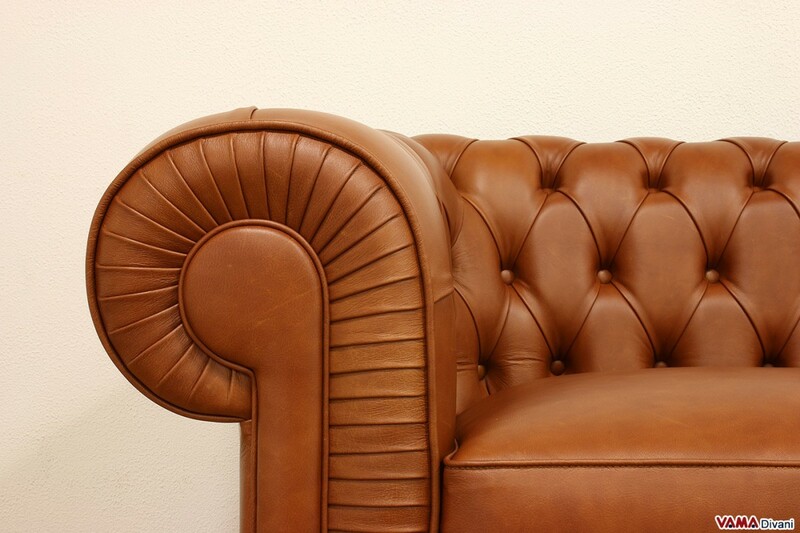 Obviously, the black colour is only one of the many leather colours you can choose to upholster your sofa. 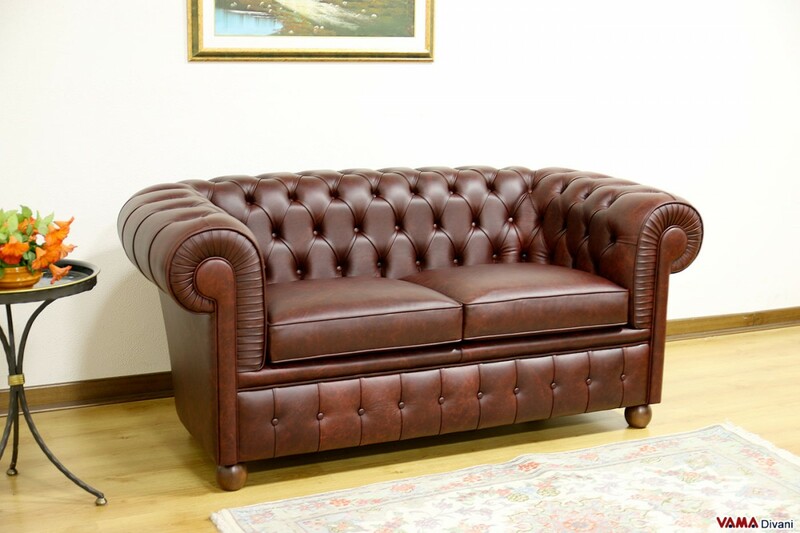 Stylish and comfortable thanks to its soft padding, this Chesterfield 2 seater sofa is 165 cm long, a size that allows you to place it easily even in smaller rooms. 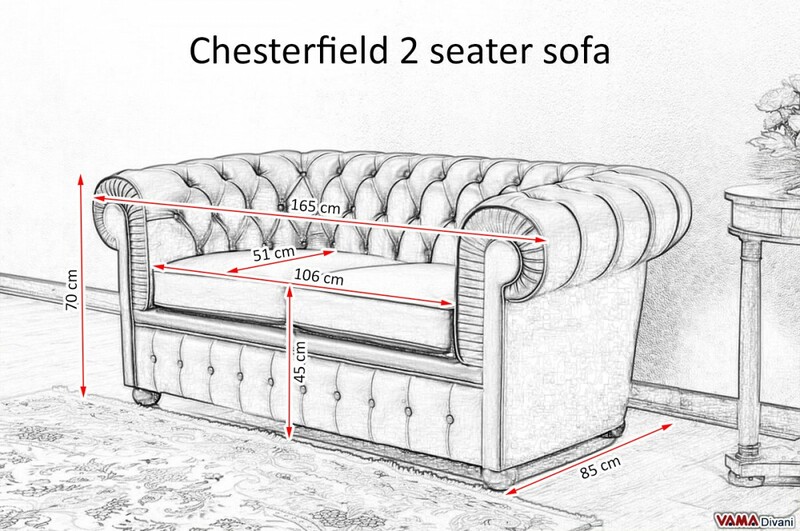 The prices of the Chesterfield 2 seater sofa vary according to the type of the chosen upholstery and can be calculated by selecting the upholstering material from the menu next to the pictures. 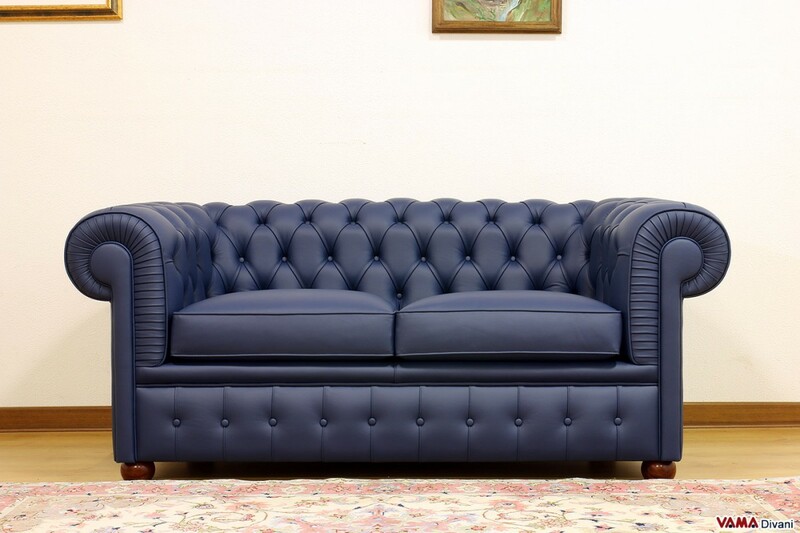 If you think that the 2 seater sofa alone may not be enough, you can match it with a Chesterfield armchair, or if you have plenty of room at your disposal, you can also consider the idea of choosing an additional Chester 3 seater sofa. 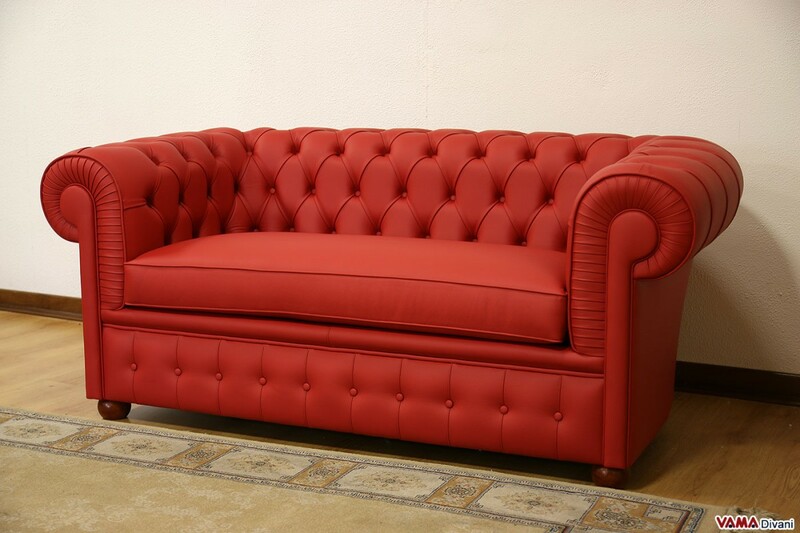 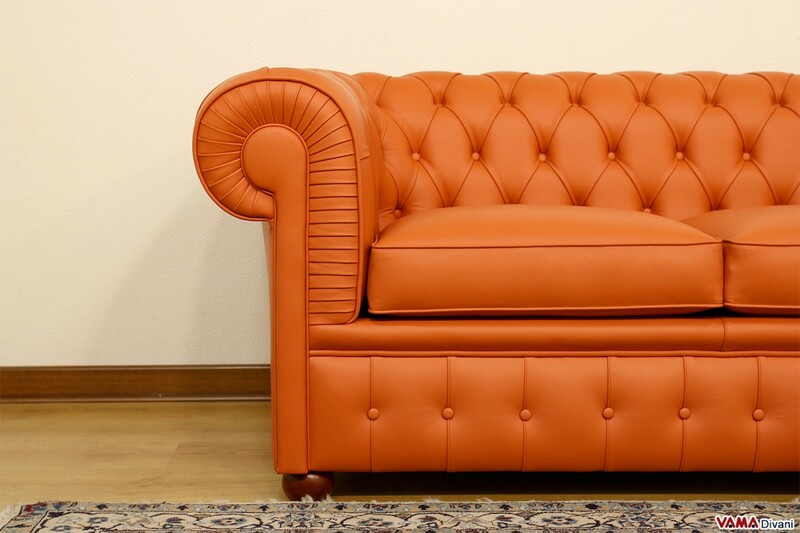 Opportunity to change the model and the style of your sofa just choosing between its wooden or steel feet.